They are small boxes that connect to your Hopper DVR and provide one seamless experience throughout the house. It is New. There is nothing included with it. Set up a Joey 3 in any room with a coaxial cable and it simply tucks away in a drawer, behind the TV, or on a shelf. 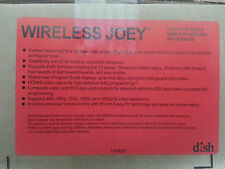 New in Box Dish MDL Joey Receiver. Dish Network Wireless Joey. Like new! It is still in the original box. You must Call dish network. We cannot speak for dish network. We will list the receiver number below. you can call dish network, and verify this box is still new. Up for sale is a Dish Network Super Joey that is factory refurbished by Dish. Still in the factory shrink wrap. Pictures are representative of the receiver. Includes remote and cables. DISH Network Joey 1.0 Whole-Home DVR Client I. Condition is Used. Shipped with USPS Priority Mail. Dish Network 209783 FG Wireless Joey Access Point 2 With Ethernet Cable allows a Hopper DVR to communicate with a Wireless Joey. MPN: 209783. Item model number: 209783. This device allows a Hopper DVR to communicate with a Wireless Joey. DVR ONLY. No power cable or wires. ▪NO Power Cord or Other Cables Included. ▪HDMI Cord Will be Included but Not Original to Product. ▪NEW NO BOX. They are small boxes that connect to your Hopper3 DVR and provide one seamless experience throughout the house. Allows a user to watch live or DVR programming sent to it over the MoCA network from the paired Hopper unit. Receiver was remanufactured by Dish and is still sealed. No remote or power adapter included. Dish Network Joey Receiver for Hopper and Hopper/Sling Hopper 3. Condition is Used. Shipped with USPS Priority Mail. Condition is New. Requires Wireless Joey from DISH. This device allows a Hopper DVR to communicate with a Wireless Joey. They are small boxes that connect to your Hopper3 DVR and provide one seamless experience throughout the house. Up for sale is a Dish Network Joey 2 receiver with remote, cables, literature and stand. EchoStar Dish Network Joey Satellite HDTV Receiver Box *FREE SHIPPING*. Condition is Used. Shipped with USPS Priority Mail. These do get warm when in use. Don’t be nervous. There are 2 different part numbers for them and they both run warm. This is an incredible upgrade for a very low price. Trending at $23.12eBay determines this price through a machine learned model of the product's sale prices within the last 90 days. See photos for conditions. All accessories/shoes/apparels contain no foul order unless noted. All accessories/shoes/apparels should be cleaned/washed first to your ideal condition before use. DISH Network Joey open box DN003316 reman Authentic! Authentic and genuine. Have an issue?. Make sure it is exactly what you are wanting. What you see in the picture is what you get. Nothing else is included! LOW PRICE! Usually quicker. Dish Network Joey with remote. Condition is Used. Shipped with USPS Priority Mail. The OTA adaptors run warm when you use them. There isn’t anything wrong it’s just how they are. Trending at $48.00eBay determines this price through a machine learned model of the product's sale prices within the last 90 days. A preowned Dish Network Wireless Joey Access Point in excellent condition. Looks like new. Microphone for voice search. -Quick Start Guide. This is a Joey Hopper mini DVR for bedrooms. Nice joey unit---refer to pics. Hooper 3 4K Joeys & Joey 2.0. I can no longer give a quote to countries that are included in that service because they would not be accurate. If your country is not covered it may soon be. If there is, it will be overridden by. Dish Network Joey 2.0. Give us a shot and we will make sure that you will look to us again! Item model number: 2.0. Dish Network Wireless Joey - Comes with remote, power supply, & HDMI cable. Each item is sold "AS IS". This is surplus, excess product. It does not happen very often! -NEW Receiver Box. -NEW Receiver Box Base. -NEW High SpeedHDMI Cable. We will respond quickly to make sure you are satisfied. 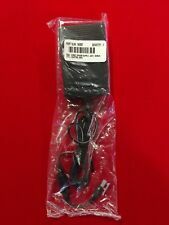 USED DISH Network Joey Whole-Home DVR Client model # R1894150276. Condition is Used. Used for one year comes with joey and power cord no remote and user book. Shipped with USPS Priority Mail.